Whether you love him or hate him, you have to respect Glenn Beck's ability to make a lot of money off his ultra-conservative persona and beliefs. Whatever you think of Glenn Beck, he probably doesn't care too much, especially this week after he signed a brand new 5-year $100 million radio contract. That means Glenn Beck's salary will be $20 million a year for his radio show alone. This shouldn't be too much of a surprise when you consider the fact that "The Glenn Beck Program" is third highest rated radio show in the country behind fellow conservative talkers Rush Limbaugh and Sean Hannity. The Glenn Beck Program airs on over 400 stations and his audience grows at a 50% annual rate! So if there's any lesson here, it's that there is a TON of money to be made in conservative radio. As we laid out in this article from almost exactly two years ago today: How Much Does Glenn Beck Make? Beck's radio money is only a portion of his insane earning power. Back in 2010 alone, Glenn made $2 million from his Fox News TV show, $3 million from speaking engagements, $4 million from from his online store, $10 million from his radio show and a whopping $13 million from book sales! In total Glenn made $32 million back in 2010. Fast forward to the present, and while Glenn is no longer hosting his Fox show, the additional $10 million a year in radio money he is about to earn, more than makes up for the $2 million he gave up in TV salary. Assuming his 2010 numbers haven't changed at all, which is unlikely, Glenn Beck is on pace to make a mind numbing $40 million a year! So what do you think of Glenn Beck? Does he deserve to make this much money? Let us know in the comments! 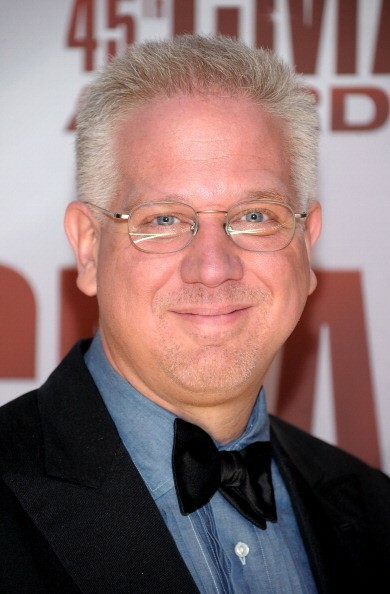 Glenn Beck is a controversial Fox News commentator who has built a media empire. But exactly how much money does Glenn Beck make every year? Of the following five highest-paid radio hosts of the last year, only one has a program related to music, while the rest are primarily talk show hosts.